If he played, he’d only get 10 mins Shirley? Let’s not piss about like we did against Rotherham. Definitely a potential banana skin if we fûck around...wouldn’t be surprised to see an Ipswich or Rotherham type of game. Does anyone know where the best places to park are ? Also noticed the tickets are £33, thought all away tickets were around £20 like Rotherham? Too right it's a banana skin. As I mentioned in another thread, all our defeats this season have been to teams below us in the table. After the inevitable monster bollockn from Potter, along with the obvious disappointment of all after last week....there has to and I'm expecting a big reaction and a win from this. Anything else and meltdown on here. Away game at Bolton is far from a given though. I'd personally take a point. 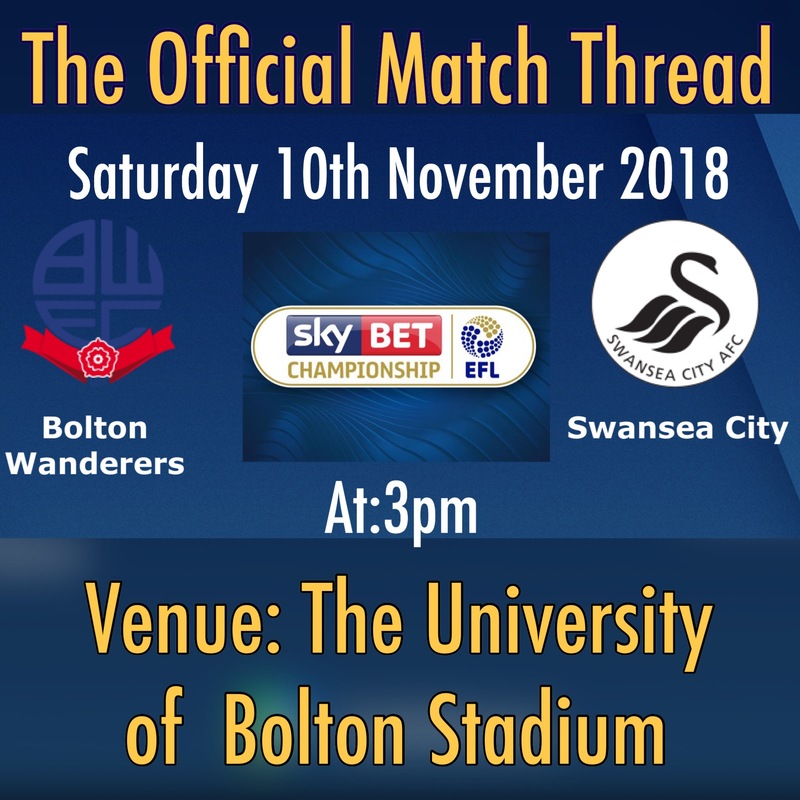 Bolton are a shambles at the moment, on and off the field. If we have any ambition this season it's 3 points or die trying. Be surprised if we lose. Been impressed with Naughton he looks like he could play at a higher level. Another Rotherham type fixture. Would be good to come away with a point. 10 mins? A hattrick then! Did you not see him in The Premier League, edna? 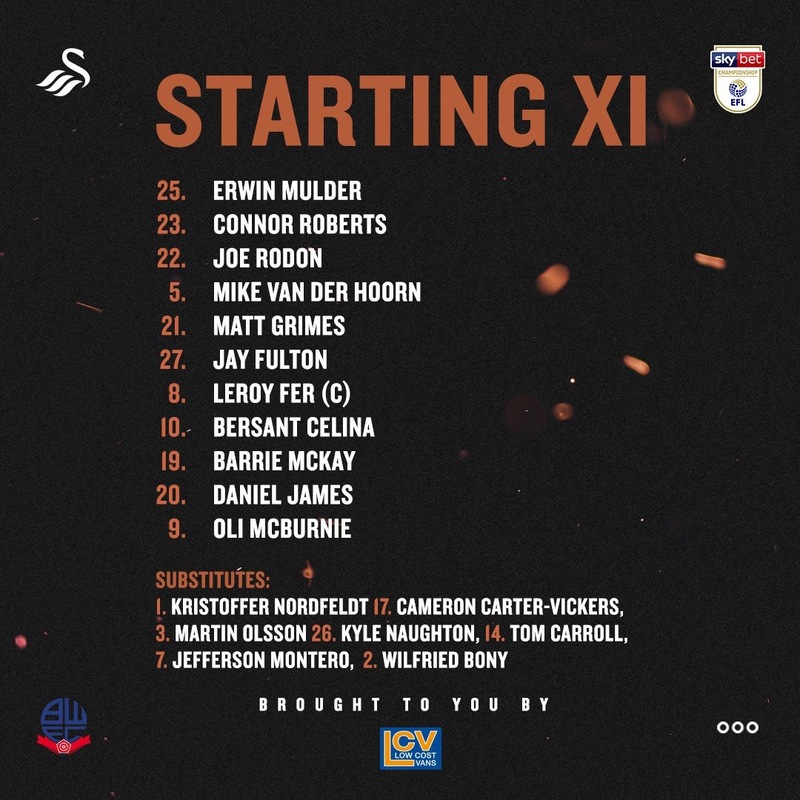 The standout players so far this season are Roberts, Rodon and James, tbf. Putting older heads to shame. "Bolton are a shambles at the moment, on and off the field. " Agreed - Shane we let Rangel go because we could have been even better in defence with Naughton in central midfield and Roberts on the right. That said, our defence apart from a couple of blips has been very good. But, surely Mulder will be in goal on Saturday! Our attacking midfield and front line has been pretty awful - nice football but their job is to score goals and they haven't. Anyone using the train Saturday? Noticed no trains to Horwich parkway which is the train station outside the ground. Bolton train station is a 15 min taxi to the ground. Naughton hasn't trained this week until today so Connor could be back at right back. I did look at that, but I’m only a 40 min odd drive away. you could pick up a few of our pi$$ed up fans from the town centre - perhaps not! Bolton run buses to the ground from all surrounding areas. £4 return to the town centre. Score goals ? we are scoring goals, more than we have for years. Your talking about last week when we only scored 1. If any bollockn was involved it should habe been them giving him the rollicking after the match for playing Nordfelt and making no subs before the final minute. You can't say they didn't try to score they had 12 shots.